Harvesting at a low sugar ripeness, gives rise to an elegant well balanced unoaked Chardonnay with fresh citrus fruit aromas, subtle notes of white blossom, melon and peaches, together with a fresh and vibrant palate. It has a beautiful lingering mouth feel, that makes it easy to drink on its own but one which is also an excellent accompaniment to a range of foods, from Sushi, to salads and even spicy soups. Picking of the grapes is generally done early in the morning to preserve the delicate aromas of the fruit and to benefit from cooler temperatures which slows down any deterioration that could happen before it reaches the winery. At Seven Springs, we hand pick early with great care, to ensure only the very best fruit goes into the production of our wine as we believe only good wine can be made from good fruit. We ferment the wine in stainless steel tanks, with specially selected yeasts to enhance and express the natural characteristics of the Chardonnay fruit . After about 2 weeks the alcoholic fermentation was completed and the wine was left on the lees (dead yeast cells) for approximately 5 months. During this time the lees was agitated regularly to add character, mouth feel and tertiary flavours to the wine. Chardonnay is typically aged in oak barrels, but with the Unoaked Chardonnay, the name says it all. Deep rich red / purple in the glass, this wine reflects the bright fruit flavours of mulberry and blueberry. Its perfume of smoky spices, pepper and woodland undertones, gives way to a well-structured palate, sumptuous, full of flavour with a smooth decadent, lingering dark chocolate finish. A great match with and beef, venison and spiced lamb dishes, blue cheese and even dark chocolate pots. Harvested on 3 different days, picking at optimum ripeness, the fruit was transported to the winery, processed and transferred to stainless steel tanks. Dry ice was added to the fruit processed on 5th and 7th to slow down oxidation and help keep the fruit cool. It was then left to ‘cold soak’ for two days by which time the juice had taken on an intense purple colour and aromas of blackcurrent and mint. The wine was fermented in the tanks, with twice daily pump-overs to aerate the wine and supply oxygen to the yeast. The wine was then moved to 2nd and 3rd fill French oak barrels and left to mature for 15 months. The fruit processed on the 9th was put in a separate tank as whole bunches. It did not undergo ‘cold-soak’. The must was inoculated and left to ferment dry, after which the wine was left on the skins for a few days, giving extended skin contact. It was pressed and put into barrel to age, with blending in early 2013. The Syrah vines were planted in 2007 on the north facing slope at 240 meters elevation. Syrah is known for its spicy and smoky flavours coming from the oak barrels and the clones selected. Clones SH1C and SH21K give the resulting wine a berry profile with spicy undertones. Clone SH9C also gives a smoky and spicy profile but given that it is used in only a small part of the Syrah vineyard, (with only 1.3 tons of the total 15 tons -10%) it has a big impact on the whole production. This clone is also part of the selection for the magnums to be released in late 2015. Seven Springs Syrah was excellent in the previous 2010 vintage, but I confess that this Gold Medal winner is even better and is a hugely promising portent as the vines age. Deep and vibrant in colour, the nose is just gorgeous, the wisp of cracked stone, the slick of black fruit and the background of flowers – violet creams even – white pepper and gentle earthiness. The palate is flooded with ripe, silky black fruit, but not at all jammy or overblown. Despite 14.5% alcohol, this has genuine freshness with a crispness to the tannin and acid framework, and the pin-point precision of the black fruit pushing through in a finely-tuned finish. The Seven Springs Sauvignon Blanc continues to develop each year and yet retains its familiar fruit profile and mineral characteristics. Pale in the glass it has delightful aromas of pineapple, white peach and elderflower. There is an explosion of flavours on the palate that reveal a wine with true elegance and balance. As with all the Seven Springs wines this stays with you until you take your next sip. A great match for seafood and chicken, lightly spiced, Thai style dishes but also easy to drink on its own. The Seven Springs Sauvignon Blanc enjoyed ideal weather conditions for ripening in February and March, being cool and dry meant the ripening was slow and mellow. As always picking started early in the morning to preserve the delicate aroma components that are typical and particularly appealing in Sauvignon Blanc. 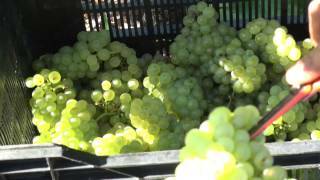 Sorting took place in the vineyard, with pickers placing the selected bunches in small crates to avoid crushing before reaching the winery. The grapes were not sorted again on reaching the winery and the juice from the crushed fruit was processed reductively (keeping oxygen away during pressing and settling). The must was inoculated with yeasts VIN7, 13 and ALCHEMY 2 and cold fermented in stainless steel tanks. After alcoholic fermentation it was left on the lees lfor 3 months, being stirred once a week to aid in the development of the texture on the palate. It also helped to “soften” the acid component. As with their earlier releases, this is a Sauvignon Blanc that nods towards Europe as much as it does towards New Zealand in terms of its pitch and style. The nose is relatively subdued, offering citrus and a creamy suggestion of roundness and concentration. On the palate there is only a trace of elderflower or gooseberry herbaceousness – this Sauvignon seems to be more about texture and cool orchard fruit character, with a lovely freshening thrust of lemon and lime in the finish.